Responsible, easy-going couple look forward to caring for your home and pets as if they were our own! 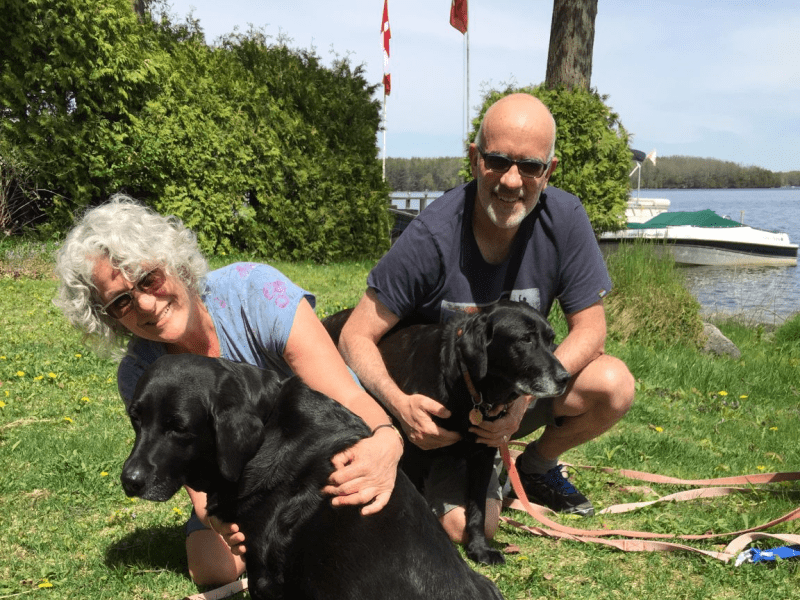 We are a happily married Canadian couple: Steve, originally from South Africa, is recently retired from the IT industry and Janice, Canadian by birth, retired from the not-for-profit sector. We have lived in Canada, South Africa and Australia. We consider ourselves fortunate as we watch our two grown daughters heading out on their own professional and personal adventures while at the same time we’re embracing the next stage of our own lives. We expect this time to include volunteer work, online learning, community involvement and of course, travel. Travel has been a big part of our family life and as a general rule we subscribe to the “slow” travel philosophy – basing ourselves in one place while exploring deeply rather than widely. We have had numerous pets over the years (cats and dogs) though for the moment we are unable to commit to one as we plan to spend the next several years traveling as much as possible. We look forward to having our own pets again in the future. In the meantime, we look forward to loving yours! Oh, I should also mention that we're non-smokers. We see house and pet sitting as a win/win/win scenario. Home and pet owners are assured their loved ones and home are being cared for by mature, responsible pet lovers as per their instructions; your pets are able to stay in their own homes, comfortable in their routines and loved by us while their permanent companions are away; and we are allowed to visit cities and towns and countryside in a fashion that is more than a fleeting tourist experience, even if for a short time. It allows us to travel in a way that appeals to us – anchored in place, to pets and home, while at the same time exploring a new area and meeting new people. In years past, we have loved and cared for many animals of our own (Tully, Bobby, Harley, Secret, Suzie). Several years ago, when we found ourselves without pets, we decided the best thing for our family at the time (two working adults, two active teenagers) was to enjoy them on a part-time basis. 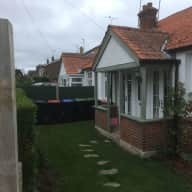 We had numerous animals staying with us over those years – family and friends and friends of friends passed our number around and we were thrilled to care for their dogs and cats. A natural extension of that has been our experience via Trusted Housesitters. You can see our reviews and references that speak to these wonderful relationships, our good character, our dependability and most importantly, our devotion to your pets. We are also homeowners and know what it means to be responsible for a house and the challenges it can bring when least expected. We garden, care for lawns, fix and power wash decks, shovel snow, unclog drains, wash floors, clean, dust and vacuum. And though certainly not to be compared with petsitting, we have raised and loved two independent daughters. Janice and Steven just completed a week sit in our home with our two dogs, Tom and Doris. They made the effort to get in touch over Skype and meet up before the sit which we really appreciated. Through the sit they sent some photographs and an update so we knew everything was ok. When Janice and Steven left, the home had been well looked after and their goodbyes to Tom and Doris were genuine and showed how attached they had become in a short time. We would highly recommend Janice and Steven and would definitely invite them back. Communication with Janice and Steve was good, right from the start and I went away knowing that the house and the dogs were in good hands. I was sent daily photos and updates, which were very welcome being so far from home. They took the dogs on all their favourite walks and gave Summer all the medication she needed. The dogs clearly got a lot of fuss, which of course they loved. Summer was in a sulk for hours after they left! The house was also clean and tidy on my return. I wouldn't hesitate to recommend Janice and Steve. What a great duo! Proving again that this system has been a godsend. Janice anticipated our needs and made sure she was on time, in touch, tidy and helpful. Izzy was happy and well cared for upon my return. I wouldn't hesitate to have this couple take care of my home/pet! 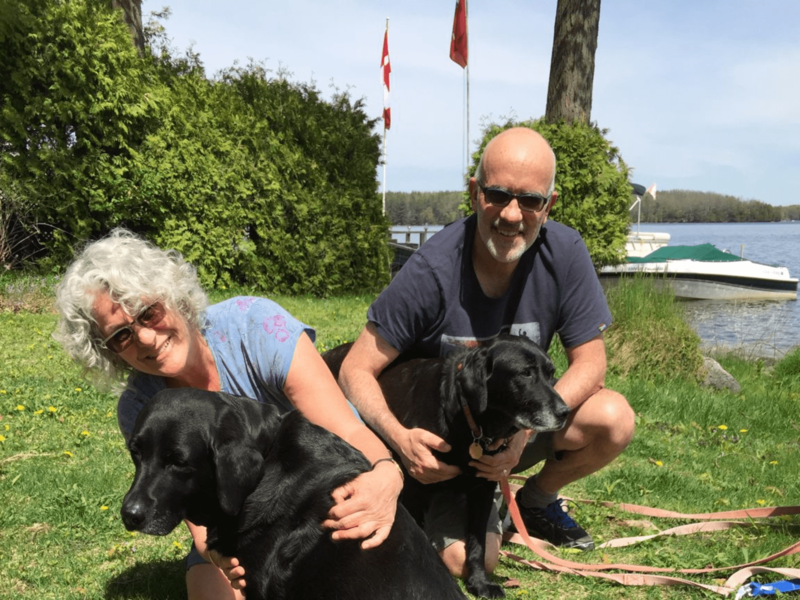 We were thrilled to hear that Steven and Janice decided to embark on the next phase of their lives in their retirement, pursuing pet/house sitting as we have 2 sweet older rescue labs that came into our busy lives this year. The timing was perfect. Janice and Steven have now become Cuddy and Marley’s second set of parents as we had to leave them twice, for a month each time, in the 10 months we’ve had them. Being rescues meant that these two dogs have some anxiety issues but they were quickly put at ease upon meeting Janice and Steven. They bonded immediately as these two are playful, loving and caring but firm and consistent. 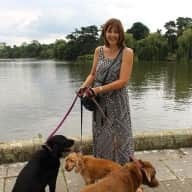 We were confident in knowing that Janice and Steven would continue the routines we worked hard to establish as we have been training our dogs to walk properly on leash and to have good manners. Cuddy and Marley are older dogs and have some medical issues which meant Janice and Steven also had to administer medication and a strict diet. We were thrilled to see that Marley (who is trying to lose weight) was able to keep to her diet while we were away. They sent us frequent updates and photos of the dogs which ensured us that they were happy and relaxed. They walked them three times a day as per our instructions and were diligent about exercising them. It was clear that they loved them in our absence. 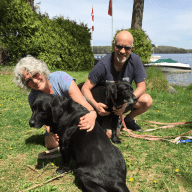 Janice and Steven were not only able to take on the role of “step parents” to our dogs but took over the duties of living in our cottage house. Living in the cottage on the lake means there are endless chores to keep the place in order and warm or cool, depending on the season. We were happy to find the house clean, laundry done and chores up to date! We would highly recommend having Janice and Steven as pet/house sitters, just hope that they aren’t too busy to come back to us and our girls! Prior to booking vacation time, I would first check to see if Janice and Steve were available to look after our beloved dog Scooter. While Scooter had many two legged friends always offering to care for him, Janice and Steve were our go-to people! They are reliable, trustworthy and treated Scooter as an extended member of their family. We knew Scooter would be excited to see them, content to be with them and well looked after in their lovely home with a spacious yard. The perfect doggy vacation! We left Scooter with J&S many weekends, week long to month long gets-a-ways over the 16 years of his life. Sadly, Scooter passed last April. In his later years, he had special needs that required medication and particular attention to his physical behaviour in order to adjust his medication accordingly. We were able to leave him with Janice and Steve with complete confidence because we knew he would be looked after and loved no differently had he been with us. We are grateful for the love and care they gave Scooter and couldn't recommend them more highly than we do and know you will too! Janice (and her husband Steven) are fantastic pet sitters. We have left our Mini Labradoodle with them on a number of occasions and every experience was spectacular. Dogs don't lie - and Kohl adores them both - she comes home happy, well exercised, and extremely well taken care of. On one occasion, Janice noticed that Kohl seemed to be unwell - they immediately took her to our vet, got her a prescription for meds and then administered the meds...by the time we got home, Kohl was all better. The best testimonial I can give is the way my dog reacts when she sees them - she is overjoyed - when I drop her off, she runs into their home and settles right in. Janice & Steven are the best - your pet will thank you! I have known Janice and Steve for over 10 years who have looked after our beloved dog Sadie (a border collie/black lab cross) on many occasions. I cannot speak highly enough about the care and affection they have shown her and a strong bond has formed between them. They always take her on great walks and ensure her needs are met. Upon our return she is always a very happy, tired dog! 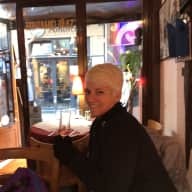 I was also Janice’s employer for several years and can vouch that she is extremely trustworthy, dependable and flexible. Steve and Janice are true animal lovers and our first choice when we need a pet sitter. I highly recommend them!